This month is filled with candy, flowers, and hearts. But not everyone is in the mood for love. If you are a true crime fan, we have some great podcasts for you to explore. 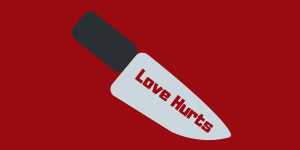 In honor of Valentine's Day, we're focusing on cases of love gone wrong. Some of these are stories of people killing the person they love most in the world; others prove that the couple that kills together doesn't always stay together. Enjoy!